In the early morning hours of Oct. 18, NASA's Lunar Laser Communication Demonstration (LLCD) made history, transmitting data from lunar orbit to Earth at a rate of 622 Mbps. 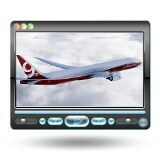 That download rate is more than six times faster than previous state-of-the-art radio systems flown to the moon. BitFlow's Neon-CLB PCIe frame grabber is a key component of the 3D-structured light-imaging system deployed in the Robomotive humanoid robot, jointly developed by Yaskawa Motoman, Beltech, and Robotiq. The Robomotive is at the forefront of the 3D humanoid robotic movement, where 'droids are used for automation and assembly tasks once performed by humans. Quite by accident, Washington State University researchers have achieved a 400-fold increase in the electrical conductivity of a crystal simply by exposing it to light. The effect, which lasted for days after the light was turned off, could dramatically improve the performance of devices like computer chips. Modern mechanical carbon materials are used in aircraft gear boxes, air turbine motor starters, and main shaft seals for both aircraft turbine engines and aircraft auxiliary power units (APUs). 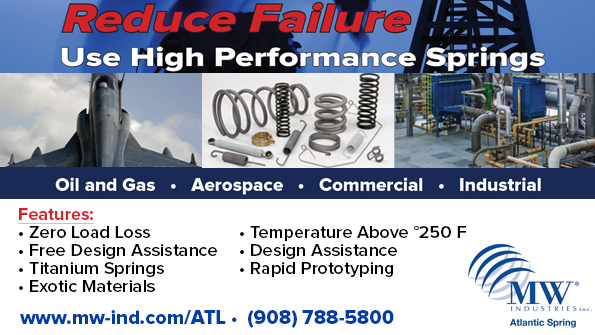 These unique, self-lubricating materials are composed of fine-grained, electrographite substances that are impregnated with proprietary inorganic chemicals to improve their lubricating qualities and their oxidation resistance, and are ideal for use in aircraft applications because of their low coefficient of friction, low wear rate at high sliding speed, high thermal conductivity, and resistance to oxidation in high-temperature air. Applimotion provides brushless direct-drive motor kits for complex motion assemblies in automation, semiconductor equipment, medical devices, and satellite communication systems. The ULT, UTH, and UTS motor kits can be integrated into a customized assembly with high-resolution encoders and precision bearings. 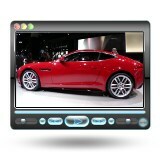 This allows the customer to control the function and operation of the assembly without having to make it in-house. It is routine for Applimotion to either turn-key the design from a specification or to contract manufacture to the customer's documentation. Custom assemblies can range from 8-mm diameter to 600-mm diameter and torque from .1 to 1,000 Nm, with unique through-holes, mechanical features, and custom cabling. Click here to learn more about Applimotion motors. Machine builders aiming to improve the energy efficiency of their machines tend to focus on using energy media other than pneumatics (typically electro-mechanical or hydraulic), since pneumatics, as traditionally applied, is viewed as inefficient due to factors like leakage and over-pressurization. But they shouldn't. Advanced Thermal Solutions (ATS) has added to its series of Star LED heat sinks designed for convection cooling of high-heat-flux LEDs. 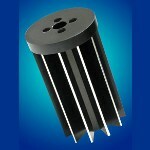 Each of the 32 heat sinks provides enhanced heat transfer for effective LED cooling without fans or blowers. Cooling performance reaches more than 60 K (ΔThs-ambient) at 50 W of power dissipation, depending on the model. The Star heat sinks are made from lightweight aluminum in a round profile that fits common LED applications. A flat base at one end allows secure, direct mounting of LEDs. 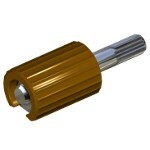 Integral threads on the base perimeter allow attachment of brackets and other hardware. An inner thread on most models allows convenient attachment of LED lens mounts. Spindle drives are becoming larger and more efficient in machining centers and machine tools. To guide higher streams of energy, larger conductor cross-sections are required. As a result, servo cables are becoming thicker with larger bend radii, and in some cases are going beyond the permissible space of the machine tool. 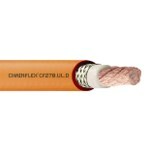 A shielded single-core cable, like the Chainflex CF270-UL-D from igus, is an ideal solution. Designed like a spindle cable, the CF270-UL-D is much thinner and is perfect for supplying maximum power while staying within the confines of the machine tool. New Reell TI-300 Series torque inserts introduce advanced positioning and pivoting technology solutions engineered to outmaneuver conventional hinges in performance, ease of use, service life, and appearance. Available in three compact package sizes, they enable reliable, precise, and controlled positioning of equipment and components for a wide range of hinging applications in the consumer electronics, automotive, medical and dental, and architectural lighting industries, among many others. Rated for 50,000 cycles, these inserts benefit from patented ReellTorq clip technology, which eliminates any need for adjustment and imparts a premium-quality feel, smooth and precise position control, and consistent torque. Boeing subsidiary Spectrolab recently set a new world record by producing a solar cell that converted 38.8 percent of solar energy into electricity, more than any other ground-based solar cell not using concentrated sunlight. See the latest that Detroit and carmakers from around the world have to offer. Car expert Doug Brauner highlights new vehicle introductions from the 2013 LA Auto Show, including our favorites the 2015 Jaguar F-Type Coupe (shown), 2015 Nissan NISMO GTR, and the BMW X4 concept. If driving a super-luxe stretch SUV is your kind of ride, check out the 2015 Land Rover Range Rover/Autobiography Edition, complete with living-room recliner-style seats. Last week at the Dubai Airshow, Boeing outlined the performance characteristics and a variety of features that will make the 777X, its newest member of the Boeing twin-aisle family, the largest and most fuel-efficient twin-engine commercial jetliner in aviation history. The company says that key innovations will make the aircraft 12 percent more fuel efficient than its competitor: an all-new composite wing based on the wing developed for the super-efficient 787 Dreamliner, aerodynamic advances such as a hybrid laminar flow control vertical tail and natural laminar flow nacelles, and all-new GE9X engines developed by GE Aviation. In addition to unprecedented fuel efficiency, these new technologies aim to help the 777X deliver 10 percent lower operating economics than the competition.